With intensive, advanced retinol, hydrating hyaluronic acid and brightening vitamin B3, this retexturising cream encourages cellular turnover to minimise signs of ageing and reveal youthful, radiant skin. Formulated with soothing, redness-reducing aloe vera, green tea and rosehip, this clever concoction minimises the irritation associated with retinol and helps to reduce any inflammation. Providing clinical-style results without the downtime, this brand’s bespoke blends are like a ‘skin clinic in a bottle’, combining ultra-advanced actives with soothing botanicals. Offering bespoke ‘couture compounds’ that unite potent, transformative ingredients with soothing botanicals and supportive antioxidants, Skin Design London is one of the most dynamic brands in the skin care arena. 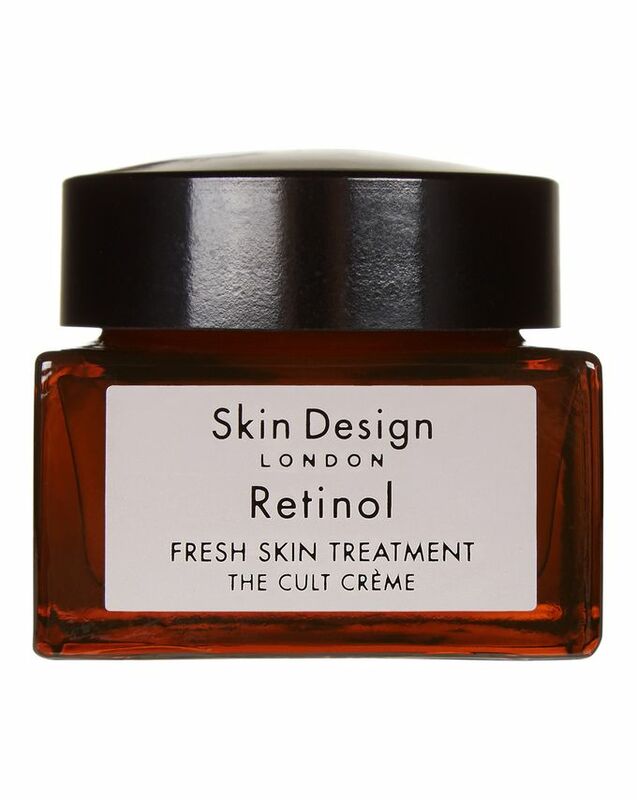 Totally transformative and one of the brand’s ‘Cult Crèmes’, Retinol - Fresh Skin Treatment is a case in point, featuring a host of regenerating ingredients and clever irritation-reducing additions. The age-defying star of the show is retinol, which boosts cell regeneration and minimises fine lines and dullness to boost youthful radiance. Palmitoyl Tripeptide 3 mimics collagen production to boost elasticity, while 3% hyaluronic acid boosts moisture to keep skin plump, hydrated and youthful. A ‘Cellactive Complex’ unites vitamin B3, watercress extract and zinc to brighten the complexion by inhibiting melanin production, while a blend of aloe vera, green tea and rosehip soothes skin, reducing inflammation and irritation. Adding to this, Siberian ginseng root revitalises cells and further reduces irritation. Apply to clean, dry skin on the face and neck morning and night. Follow with sunscreen. 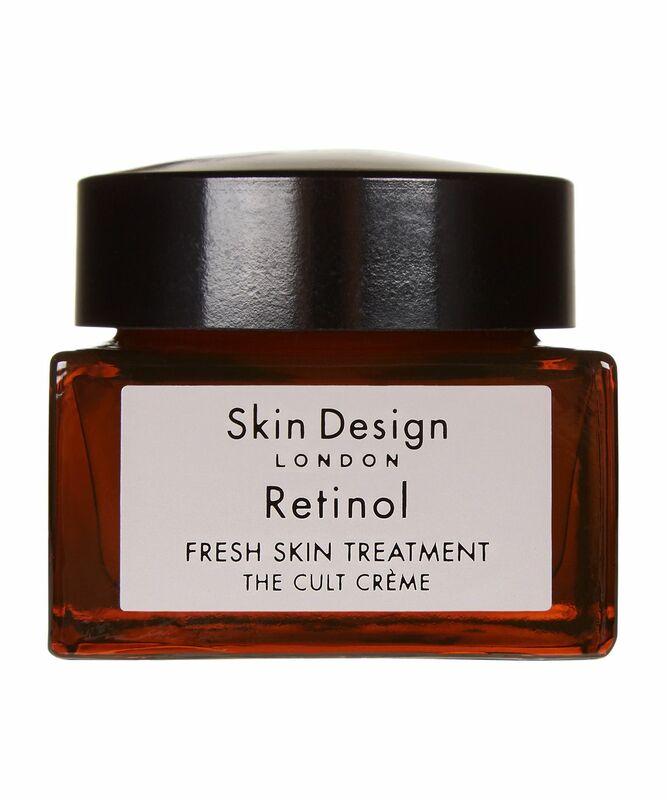 I’ve tried other retinol treatments, but no one obtained such good results as this one. My skin is more luminous and radiant, and my expression lines less noticeable. I shall repurchase it for sure. I've always used retinol serum on my skin routine so I was to see what this retinol was like especially as it is in a cream form, and now I'm hooked! I love the jelly like texture and it's nice to use it as a moisturiser. I have combination skin with some sunspots and it feels so nice on my skin, it's really hydrating but didn't tingle at all. Simply fantastic. I was always fond of retinol serums, but this nourishing cream is quite miraculous. I shall repurchase it again and again.